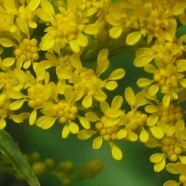 Home » Posts Tagged "goldenrod"
It’s been a long tough winter. 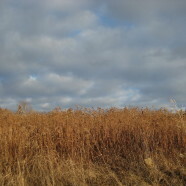 And even though it feels a bit like spring–Daylight Savings, birds cautiously chirping–this is the worst part of all. The last gasp of winter is a tough time for wildlife. The sun is making efforts to warm us up at noon, but it’s still frigid at night. And there’s practically nothing left in terms of food for hungry birds. 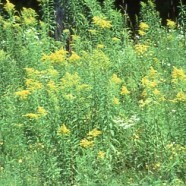 Good thing there’s still a bit of goldenrod in the back yard. 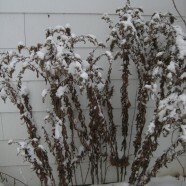 Goldenrod, a native plant, still has a few seeds left on the winter stalks.